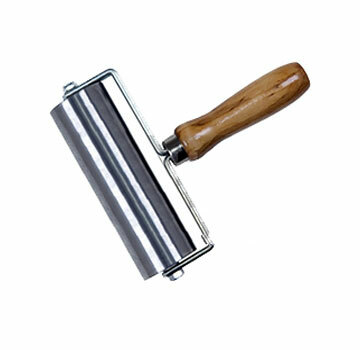 PRODUCT: Everhard Steel Seam Roller, 6 inch wide x 2 inch diameter polished steel roller, double fork, ball-bearing professional grade, 5 inch hardwood handle. Price/Each. 6" Wide x 2" Diameter, 4.88 lbs roller weight (shipping weight is about 5.2 lbs.